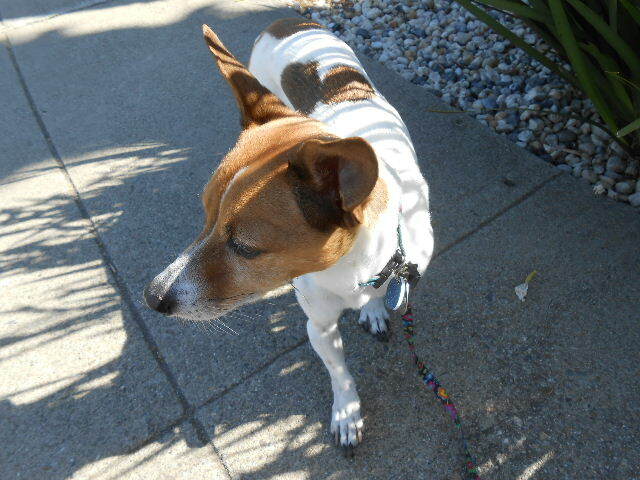 A roundup of photos of my dog, Misha, from one of our walks this week. I think she thinks she is queen of the sidewalk. 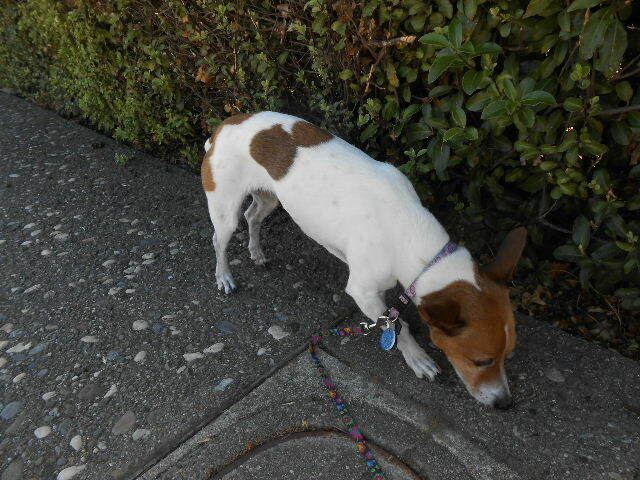 Some of Misha’s spots are showing. Do you see her rubber duckie? Sniffin is a good thing. 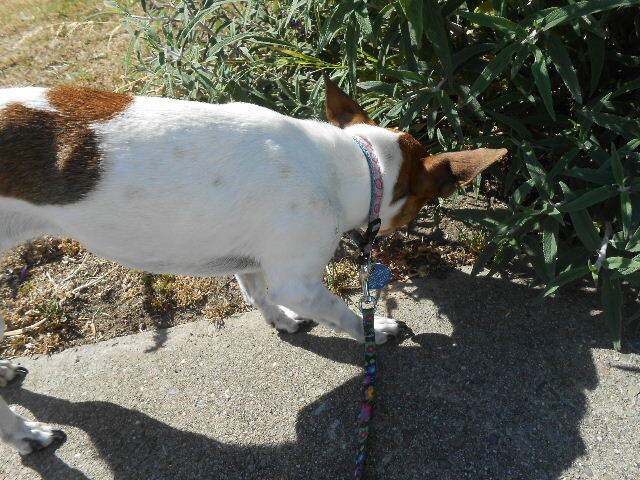 I’m a scent hound so I have my nose down quite a bit! Emma, thanks for stopping by. I wonder what you learn from all that sniffing? Yeah, I would say Misha definitely is the Queen of the Block LOL! She’s adorable! Cathy, thanks for visiting! She’s 7 lbs and she thinks she owns the place. Michelle, that’s the work that dogs do. They’ve got to sniff 🙂 Thanks for your comments! 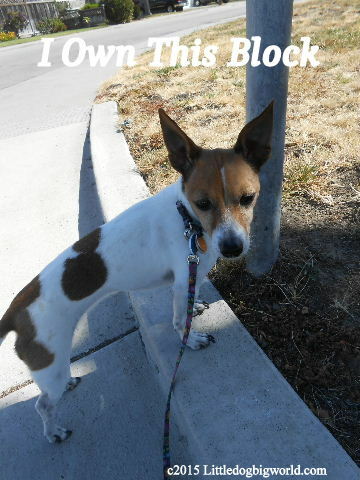 Walks are so much fun when your dog thinks she is queen of the street. I love seeing a confident dog taking a walk, no matter how big they are. Nice to find your blog. Sharon, She used to think she owned both sides of the street. She was a tad overly protective. Now she has matured and settled down a bit. She really loves this part of the day. I think you and Harley think a lot alike. He sniffs everything. Not only does Misha sniff outdoors, but if I bring a bag in the house, she is all over it. Never had such a curious dog. Thanks for stopping by, Groovy GoldenDoodles!